NEW: HEFLO affiliate program. 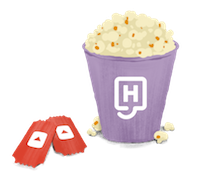 If you have a blog, Youtube channel or a contact list, you can now be rewarded for referring HEFLO. By joining our affiliate program, you will receive a special link, and for all those who create a HEFLO account from this link and become customers, you will receive a 10% commission on all subscription payments for the first year of the client’s contract . Join now! IMPROVEMENT: New “calculated” field type, which allows you to create expressions in a user-friendly way. It’s available for properties and columns of record lists. IMPROVEMENT: Filter records in the list of work items of Workspace page. The filter is set up in the header of each column, and it’s similar to Excel worksheets filtering. IMPROVEMENT: Advanced ordering of work items on the Workspace page. The configuration can be done by the 3-point button located in the upper right corner, and it is possible to include several fields in the ordering. FIX: Correction of 23 bugs.